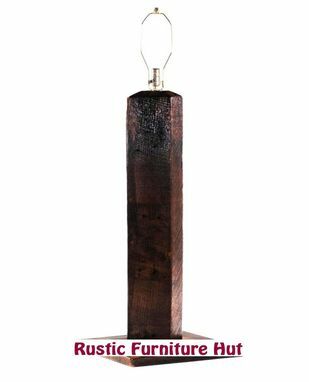 This handcrafted rustic style wooden lamp can be made in sizes for table tops as well as for floor lamp use. It features hand-hewn reclaimed wood and comes in a variety of colors/finishes. We can custom make this unique wooden lamp to suit your exact requirements. Just ask!